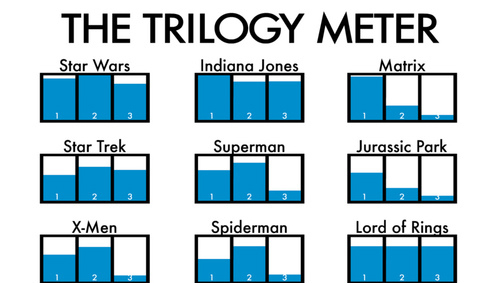 Dan Meth does a surprisingly good job of representing the great majority of people’s views about these classic geek movies by declaring his own relational display. 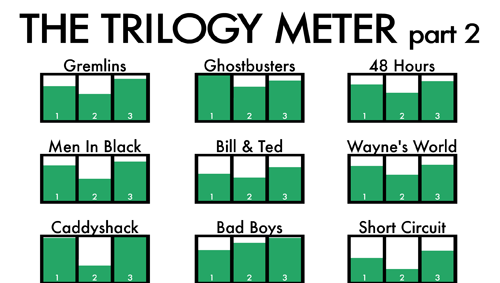 As is clearly demonstrated, the third in the series tends to be the worst by far, sullying the series as so many third movies have done before. Fortunately, we’re usually able to treat the earlier ones as classics and blank the rest with a little selective memory. The second is an April Fools version with some creative license on movies that don’t actually exist, but still amusing. This infographic is successful for a lot of reasons. It’s got all the basics of conveying a large amount of easily accessible information, but more, it generates a lot of discussion. “I don’t know if I agree”… “I stopped after two – the third was good?”… “Ha. 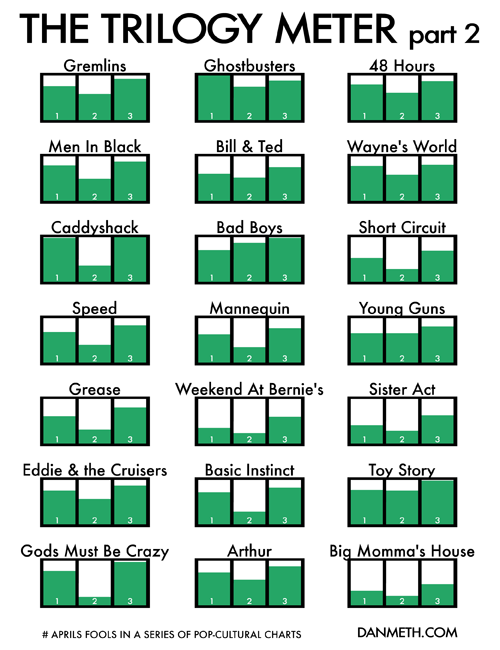 So true.” Each mini chart is shared joy or shared misery, and just about always shared truth. 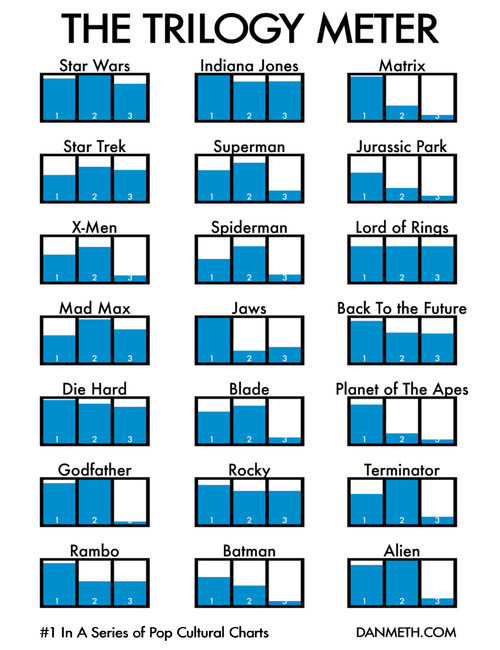 Having a rather broad view of someone’s movie taste and seeing how it matches yours builds trust, lending to the objective value of what is otherwise subjective opinion. Not much, apart maybe from some other movies (Bourne, anyone?). This entry was posted on October 1, 2009, 10:13 am and is filed under Entertainment. You can follow any responses to this entry through RSS 2.0. You can leave a response, or trackback from your own site.